Paleo, gluten-free and oh so yummy! These “Coconut Flour Chocolate Chunk Bars” are one of our favorites…chocolaty and cake-like but not heavy or overly sweet. 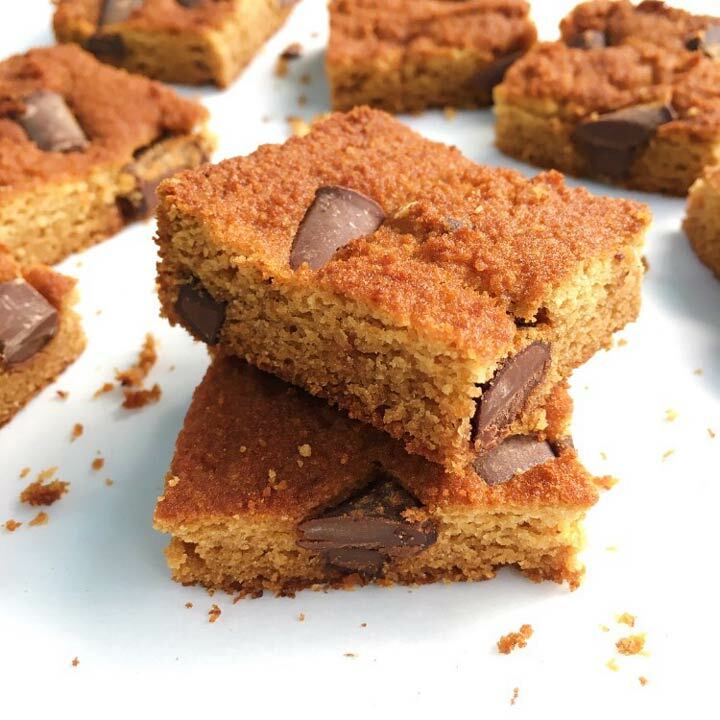 Recipe from Ambitious Kitchen, these bars are made with only 9 ingredients including coconut flour and coconut oil. And they quick and easy, taking only 10 minutes or so to prep. We used Enjoy Life Foods chocolate mega chunks. The recipe is from Ambitious Kitchen.